Online edition of an exciting new course! Available anywhere! Purchasing this course will give you access to the recorded videos and CE affidavit materials. Exciting News! 8 hours on-line CE CREDITS APPROVED FOR in several States (see below). Primitive & Postural Reflexes and Sensory-Motor Development 8 hours CE Credits! The integration of primitive reflexes and the development of postural reflexes are key to proper sensory-motor development. Proper sensory-motor processing is essential in order for a child to be able to learn academically, socially, emotionally and motor skills. When any of the eight sensory systems are dysregulated, a child may have difficulty with attention, focus, cognition, mood, social and academic performance and more! Primitive reflexes should be integrated by no later than the first year of life. Dr. Buerger will cover how to evaluate primitive and postural reflexes in the older child (ages 4 and up). She will also demonstrate specific integration maneuvers and specific exercises that can be applied for each reflex should they remain active. Because each child’s functional capacity is different, she will also address how to modify/adapt these depending on the ability of the child. 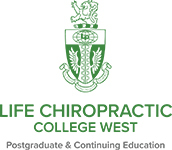 She will also discuss the important role that chiropractic care has on the integration of primitive reflexes, the development of postural reflexes and the development of the sensory-motor systems. This course is packed full of critical information that can change the tide on a child’s health, development and success in life! *NOTE: If you are unable to attend the live version, the course will be recorded and accessible for 90 days to listen at your leisure and/or for continual study. After 90 days, the course will be available via the Intersect4Life Learning Academy. If you have paid for the course and are an active member of our on-line community, you will be able to access the course for lifetime. Online videos will be emailed to you after successful purchase. Also included! You will receive a FREE copy of "The Sensational Brain Workbook": How to promote optimal neurodevelopment for academic, social, emotional and motor learning. Great for teachers, parents, therapists and physicians!